Flying for Labor Day? Know Your Airline’s Extra Fees! Labor Day weekend is a perfect chance to jet off for a long-weekend vacation. If you’ve purchased your tickets and you’re ready to pack your bags, make sure you know about extra fees ahead of time to keep unexpected costs and hassles to a minimum. Non-ticket costs—like baggage fees, ticketing, seat selection, or food & drink— can add up quickly and should be clear to consumers. Smarter Travel complied the , which shows what you can expect to pay for over a dozen services at 13 airlines. As you can see, Spirit Airlines is a main offender of these non-ticket fees. In fact, a report Travel Buddy Education Fund released last year found that Spirit Airlines generated the most complaints relative to number of passengers -- or approximately three times more complaints per passenger -- than any other airline, and the complaints volume is trending upward over time. and, to encourage quicker boarding, they charge more for a carry-on than a checked bag. But if you wait to pay until you’re at the gate, it’s $100—so don’t forget to pay at a check-in kiosk before going through security. Better yet, pay $30-$45 online for a carry-on or checked bag. 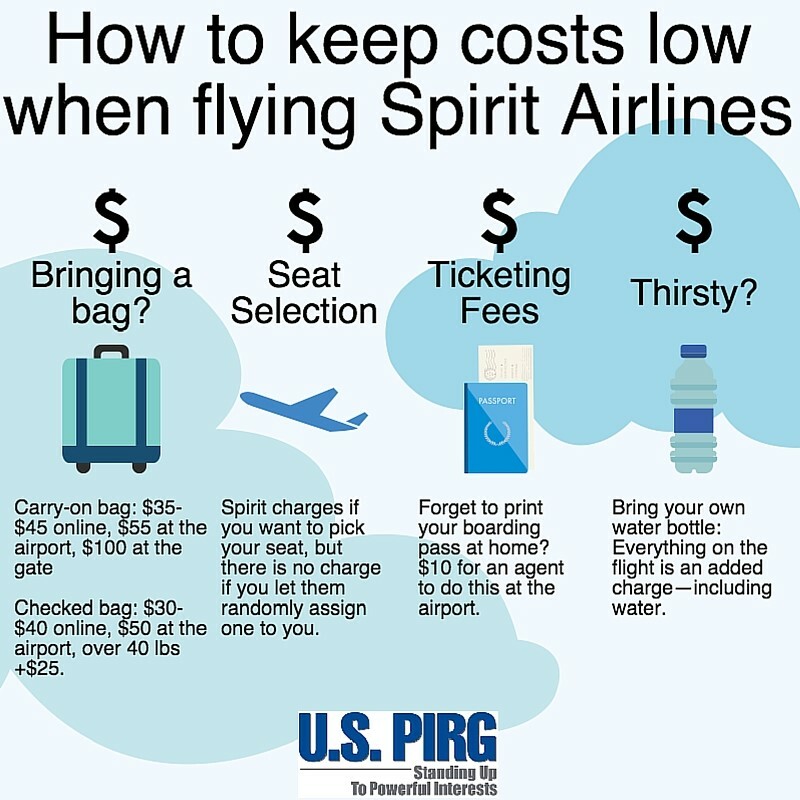 Check out our chart below for ways to actually keep your costs low if you’re flying Spirit Airlines this Labor Day weekend. After all, isn’t the next best thing to a long weekend extra money in your pocket?